Watercolor paintings are sometimes inspired by a particular event or incident. 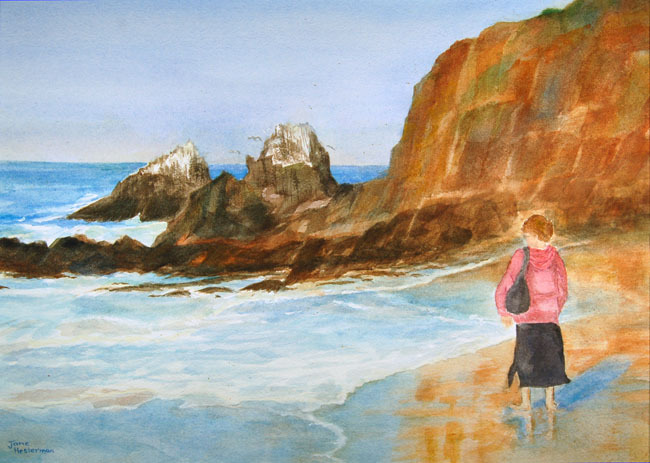 The following painting was painted from a memorable photo my husband snapped on the Pacific coast. We had stopped for a last walk on the beach on the way to the airport. When he asked me to turn and face him for a last photo, I didn't see the wave that was rolling in. I got soaked!